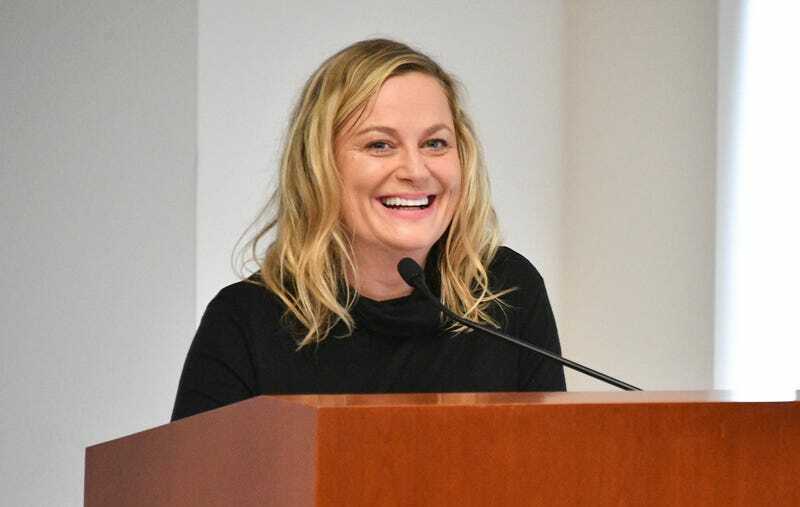 Amy Poehler will direct, produce, and star in a comedic Netflix feature film about pals who attend a 50th birthday celebration together in Napa Valley, according to The Hollywood Reporter. The film will be conservatively titled Wine Country. The cast is star-studded, and includes several Saturday Night Live alum: Maya Rudolph, Paula Pell, Tina Fey, Ana Gastayer, Emily Spivey, and Rachel Dratch. Spivey, who worked with Poehler previously on the NBC shows Parks and Recreation and SNL, also co-wrote the script with Liz Cackowski (another SNL veteran). As THR noted on Tuesday, while this is Poehler’s first go at directing a feature film, she’s already directed episode of Parks and Recreation and Broad City. I see themed bottles of wine in this franchise’s future.